So I finished the base model, and now as a class we are moving onto zBrush! 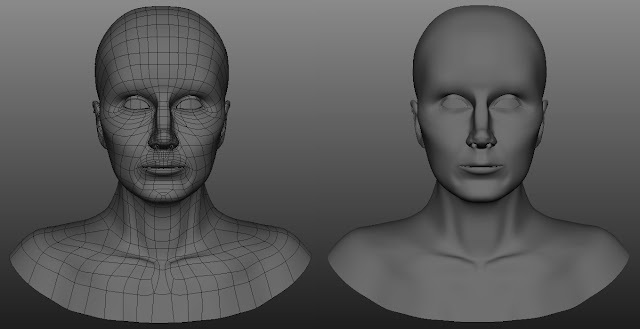 When we bring our model's to zBrush we will be adding more detail and making our models look like ourselves. I am super excited to start diving into zBrush because I love to sculpt and I can't wait to learn how to digitally! Anyway enjoy! And look out for my finished motion graphics piece!